In my experience, this time of year is always a mixed bag in health IT. Sometimes it can be extremely busy, with groups trying to frantically spend any remaining budget before the end of the year if their fiscal year follows the calendar. Those are always interesting clients to work with because some of them just want to book the work and not really do anything until after the holidays, while others want to try to cram the work in as well as getting it on the books. I try to avoid the latter since I typically plan for a lull at the end of the year so I can enjoy some downtime. Then there are other kinds of clients who have either run out of money (often long before the end of the year) or are short on staff and are trying to figure out a way to complete projects before the end of the year. I also try to avoid these clients if possible since it’s often someone’s bonus requirements that are driving the work. There is typically a lack of planning (hence the end-of-year approach) and the team is often not resourced correctly to get the work done even with support. The handful of times I’ve done consulting engagements around projects like this, I’ve always made sure that I have enough backup resources to just do the work for the client rather than with them. I was approached by a client last week who was clearly desperate and fell into multiple categories. It’s a small practice that has been working on Meaningful Use. They attested to Stage 1 in 2013 and planned to attest to Stage 2 in 2015, but their project went way off the tracks. They have four providers and about 10 staff members, but have not been able to figure out how to dedicate anyone on the staff to shepherding a Meaningful Use project. They spent the first half of the year knowing that they needed to upgrade their EHR to a version that would support MU2, but doing everything possible to avoid it. Much blame was placed on the vendor despite the practice not having adequate servers to support an upgrade. They had worked with another consultant to get through the upgrade, which luckily included a migration to a hosted platform so that servers won’t be an issue moving forward. I know the vendor is more than happy to send them a contract immediately, but scheduling an installation during the holidays never goes well. Not only do many vendors have people taking time off, but usually people who work in a medical practice also hope to take time off to spend with family and friends. Not to mention that hurrying this through isn’t going to help their cause with Meaningful Use since there are many other requirements that they are not meeting. I’m not typically one to turn down work, but in this case I elected to take a pass. Not only would it add a lot of stress to my planned downtime, but I just don’t think it’s the right thing to do for the client. What the client really needs is a solid sit-down with the owner to actually create a strategic plan for the practice. He needs to figure out whether he really wants to participate in the Meaningful Use program and if so whether he is willing to dedicate resources (either a single staffer who can own the project or money to hire someone outside to do the job) to create a comprehensive plan. If he is agreeable to that, then he needs to commit to dedicating time for staff members to receive training and adapt their workflows for success. In addition, he will need to get the employed providers in line with the expectations. He needs to agree to a plan that not only covers the installation of a patient portal, but also a campaign to engage patients and get them to sign up and to incorporate the use of the patient portal into the daily workflow of his office. I tried to schedule a meeting with him to discuss all of this, only to find out that he has taken the rest of the year off. The fact that a practice owner would just hand off a task to staff such as, “Hey, let’s do a patient portal” and leave town is just shocking. As a consultant, it’s also a key indicator of marked unhealthiness in the practice. It’s unlikely that I’ll be doing any work with them even as much as I like a good challenge. 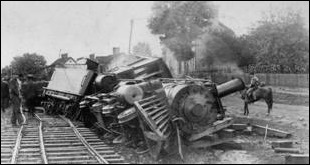 The longer I’m in this business, the less interest I have in total train wrecks regardless of how well they pay. I’m going to maintain my planned downtime and continue contemplating my career plan. Although my clinical employer’s offer was somewhat open-ended, I don’t want to keep them waiting if that’s the way I’m going to go. During the lull, I have some craft projects planned and of course some pastry therapy. What are your end-of-year plans? Email me. It has taken me many years as a consultant to get to the point you’ve reached. Bravo! I thought helping everyone who needed it was my mission, now I realize that if the business owner is not engaged and as concerned as I am, and the practice is basically rudderless, then I need to turn down the business. I cannot tell you how many practices I’ve opened, and the owner/physician will see the weeks leading up to opening as the perfect time to take a trip out of the country. Nevermind that I’m in crunch time opening their business with hundreds of thousands of their dollars, and need hundreds of questions asked and answered during the last two weeks. I have to tell new practice start-ups that the owners are not allowed to go on vacation in the weeks leading up to opening, it seems odd that i need to even state that! Unfortunately, the clinic you outlined will likely fail to meet MU again and again, and continue to blame everyone but themselves. It’s very sad, but welcome to the small practice consulting arena. There are many great docs and business owners out there that want our help, they truly want to do the right thing. You’ll never go hungry, but you’ll miss some good ones if you are busy cleaning up after the train wrecks. Ah yes, the client from h*ll. As one who has been in the health care IT consulting world for many years, the first rule of a successful consulting practice is: Pick your clients carefully. Hard to do if your financial back is against the wall, but it always turns out for the best in the long run. Good luck.